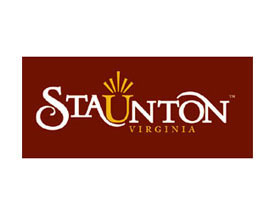 The City of Staunton is now accepting applications for its recently formed Staunton Bicycle and Pedestrian Advisory Committee. The committee will be comprised of six members, one of whom will be a law enforcement officer. The panel will propose objectives and provide advice for making the city friendlier to bikers and walkers. The formation of the new committee evolved from the Staunton Ad Hoc Bicycle Advisory Committee, established by City Manager Steve Owen in July 2013, following an enthusiastic presentation by Ride Staunton to Staunton City Council. Between July 2013 and February 2014, the advisory committee’s 16 members met every three weeks to consider ways in which the city could better accommodate cyclists. The advisory committee issued its final report, including recommendations, to Owen last March, and presented the report to city council at a work session last May. City Council accepted the report and recommendations as presented in July 2014, and authorized staff to proceed with implementation of the recommendations, including the establishment of a permanent bicycle and pedestrian advisory committee, broadening the scope of the effort to include pedestrian safety. In the coming weeks, city council members will review applications for the Staunton Bicycle and Pedestrian Advisory Committee, and then appoint six finalists. Council will give preferential consideration to those who submit their applications by March 6, 2015.